Set high on a ridge in historic parkland less than five miles from Trafalgar Square, Kenwood is London's favourite 'country house'. Remodelled by Robert Adam in the eighteenth century, in 1928 it became the home of the Iveagh Bequest, a superb collection of old master paintings that includes Rembrandt's most celebrated self-portrait, the only Vermeer in England outside the National Gallery and the Royal Collection, Gainsborough's Countess Howe, and classic works by Reynolds, Romney, Lawrence and Turner. The collection was formed between 1887 and 1891 by Edward Cecil Guiness, 1st Earl of Iveagh, chairman of the world's leading brewery, who gave it to the nation with the house and estate. This lovely book discusses each work, revealing the personalities behind the faces in the portraits, the social circumstances of each commission, and the way that art met the ambitions of artists, patrons, sitters and collectors. There are also two introductory essays that provide context for the house and discuss the ways in which Lord Iveagh was a pioneer collector. 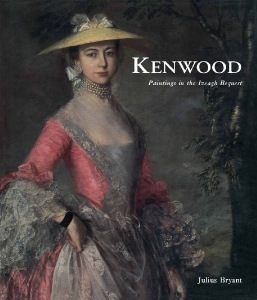 Beautifully produced, this catalogue of paintings is the essential book of Kenwood. Julius Bryant was the chief curator at English Heritage until 2005. His responsibilities at Kenwood date from 1983 when he was appointed assistant curator of the Iveagh Bequest.